District 21 – April 2010 – Lincoln Nebraska A.A.
Secretary’s Report (Amy Z. sub for Matt S.): approved as read. Jay is conducting research about our account. The check registry was a jumbled mess and didn’t match the bank records. There are missing statements from April-July 2009. Around that time, we had overdraft fees of $125 for an insufficient fund of $27.00. The bank will charge a $30/hour “research” fee to get missing statements. Rent–We have not paid rent since last July. There is also a discrepancy in our rent amount. The check registry indicates the District 21 rent is $15/month. The DCM, however, spoke to the landlord this morning and he stated our rent is $10/month. Group Balance (including new incoming disbursements and also paying rent for 9 months at $15/month)–$361.33. Motion: We pay $10/mth rent from Aug. 2009-April 2010. Passed. ***The passed motion will change our group balance slightly. Intergroup Liaison Report (District 21 no longer has an Intergroup Rep) Motion: Elect Jon R. as our new Intergroup Rep. Motion passed unanimously. 1. Pocket of Enthusiasm (Steve U. ): No report. 2. Seeking Solutions (Jon R.): Old-timers forum will be in June. Lots of internal business last month. 3. Spiritual Actions (Emily S.): Nothing new. Going well. Had a quarterly business meeting-no new issues. 4. Sufficient Substitute (Sam R.): Regular attendance. Going well. 5. Women’s Circle of Friends (Pat D. for Jennifer R.): Attendance is steady. We do still have babysitting but members of group take turns doing this. Women’s retreat-we sponsored one scholarship. 7. Cafeteria Group (Tom B. ): Good feedback on new set-up of round tables. Group doing well. Have done hearing impaired meetings in the past, but not recently. A request has been made to do this again, the problem is funding. The meeting will approach Intergroup about the financial concerns..
8. 11th Step on Sunday (alt. GSR-Reni B. ): Attendance has been good. Reni will look into filling out a group change form, as she may become the GSR. 9. Practical Applications (Brian D.): Attendance is fluctuating. Current name and address will be in new meeting list because they haven’t moved yet. 10. Young People’s: no report. ***Pat D. reported that the Friday Night Gathering meeting is dismantling after 25 years. Meeting visits: Amy visited one meeting which was the Sufficient Substitute group. Amy was also the invited speaker for this meeting. • AGENDA ITEM #006, 1/16/10, Public Information, VOTE. Area 41 to discontinue its participation at the Nebraska State Fair effective for the 2010 State Fair unless a waiver for an unmanned booth is approved by the State Fair Board. Passed at District level in March, 2010. Failed at the March, 2010 Area assembly, so the State fair booth will continue. Select an Area 41 District to host the Area 41 2011 Reunion. District 8 (St. Paul) will be hosting the 2011 Area 41 reunion. 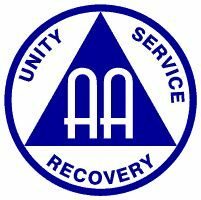 GSO business-issue with court officials’ right to probe AA and non-AA sponsors about AA activity with people who are in corrections. 1. District 21 workshop planning. We will continue tabling discussion on this topic for another month. Update–Sam submitted this Agenda item at the March Area 41 assembly. Update–Sam submitted a revised version of this agenda item at the March Area 41 assembly. 1. What is our prudent reserve? Motion-We make a prudent reserve for District 21 $150. Passed. 2. Special needs discussion. Each District 21 meeting should take a look at our facilities to see if we are handicapped accessible and double check the meeting list to make sure this information is up-to-date. There is some question about what “handicapped accessible” denoted on the meeting list means. Hearing impaired meetings are denoted in the meeting list. Cafeteria group would like to resume hearing impaired meetings.